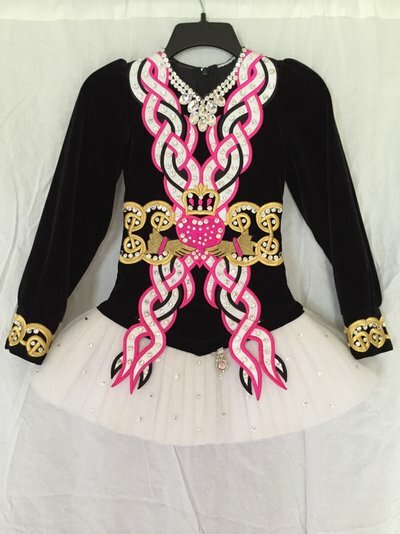 This Siopa Rince claddagh design dress is black velvet with white and pink appliqué and embroidery. The skirt is pleated tulle. Crystal detailing throughout -all crystals are currently in place. The claddagh design is on the front natural waist and cape. 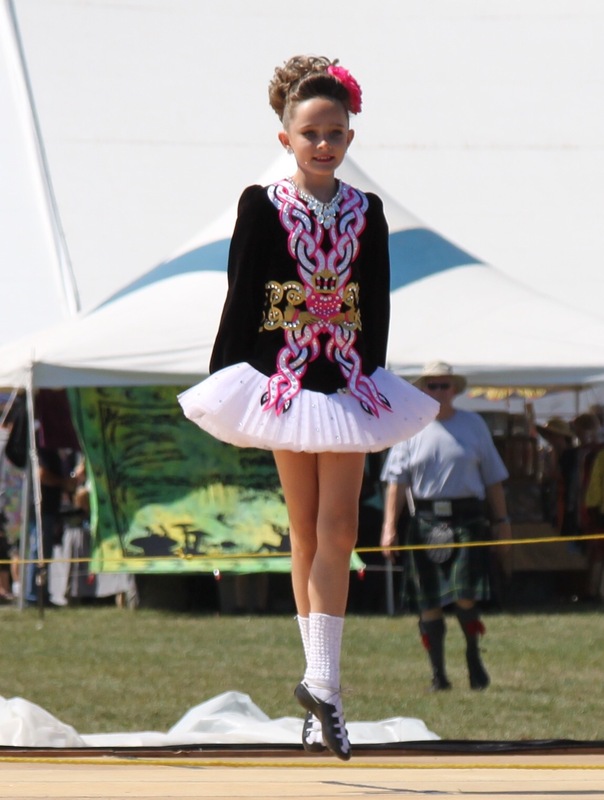 It is currently worn by a petite OC U12 dancer but would fit a younger child. It has never been altered and has approximately 1.5″ let out on each side. Measurements were taken on the hanger. Additional pictures available upon request. Measurements were taken on a hanger. Room for let out and let down.